Congratulations to Linda Tarsky and Richard Franciskovich, who each just won a pair of 4 Day Camping tickets to the Fall Festival! 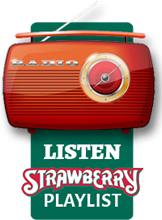 Thanks so much to everyone who participated in the contest and for your interest in going to, liking and sharing the Fall 2017 Strawberry Music Festival event, on social media and in your communities. Hope to see you all there!